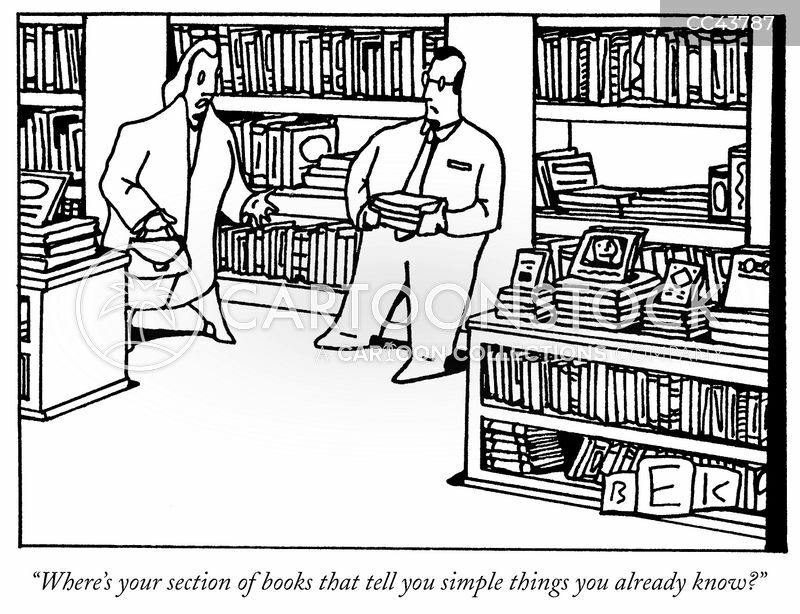 "Where's your section of books that tell you simple things you already know?" 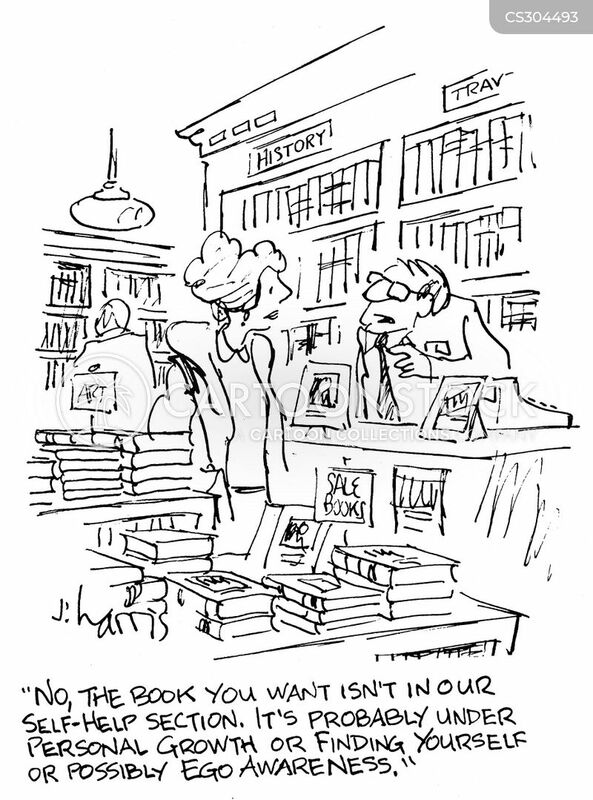 "Great news! 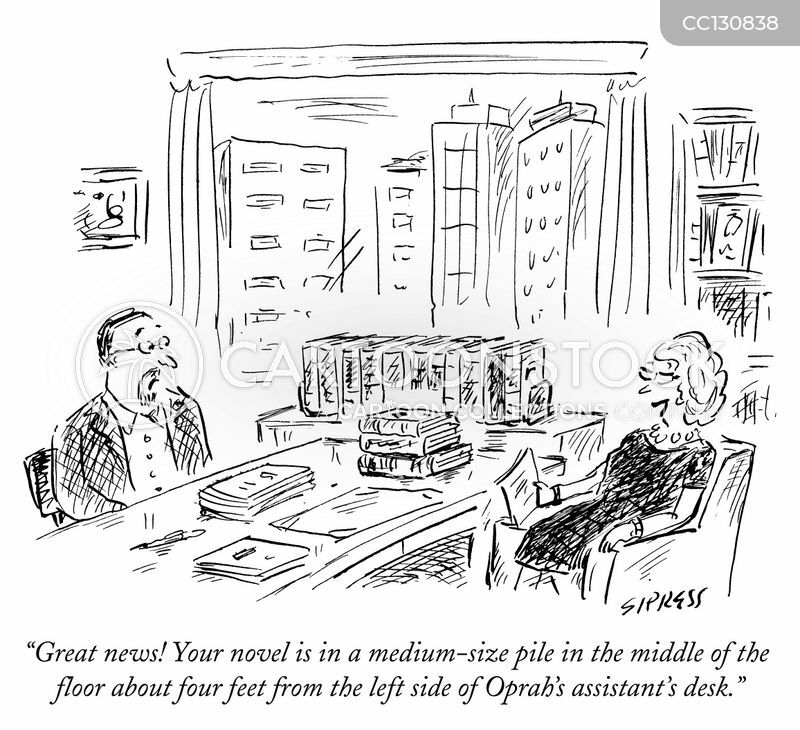 Your novel is in a medium-size pile in the middle of the floor about four feet from the left side of Oprah's assistant's desk." 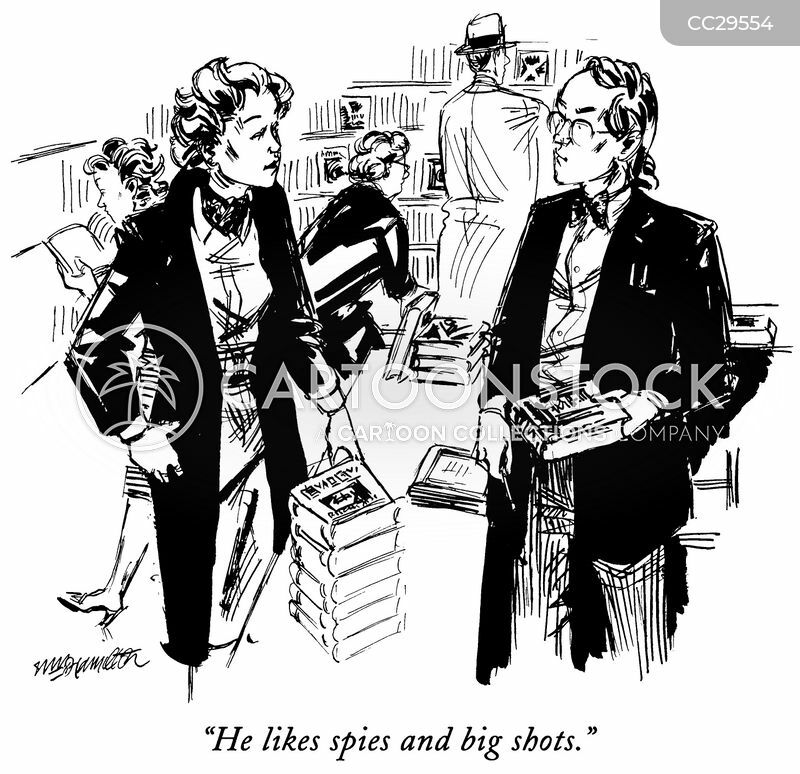 "He likes spies and big shots." 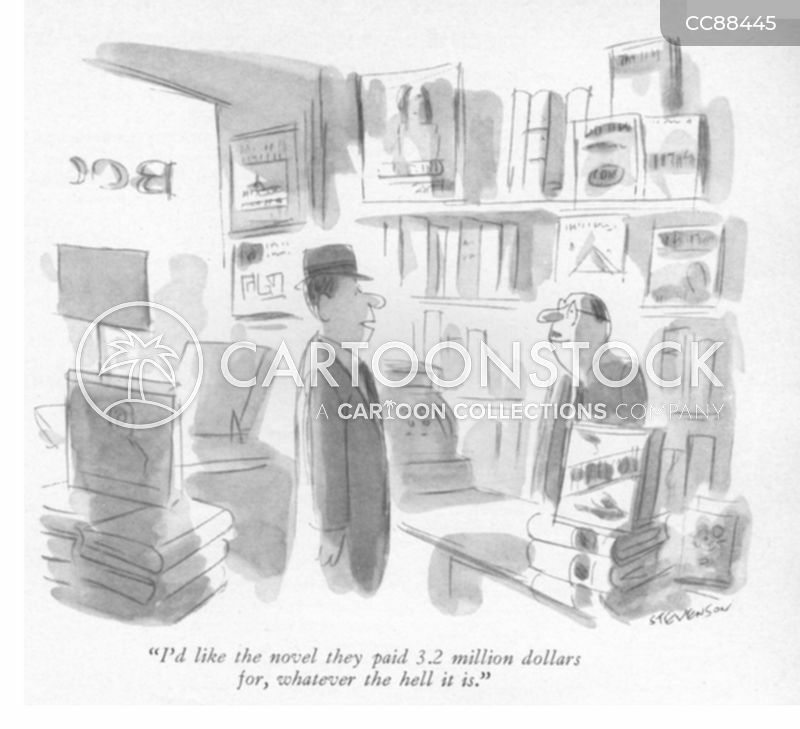 "I'd like the novel they paid 3.2 million dollars for, whatever the hell it is." 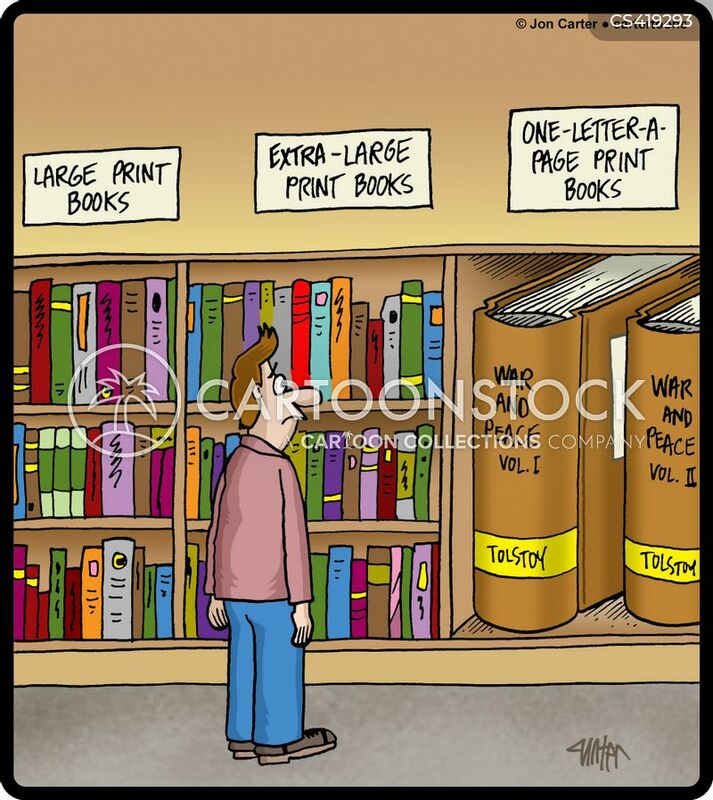 Book shelf features large print books, extra-large print books, and one-letter-a-page print books. 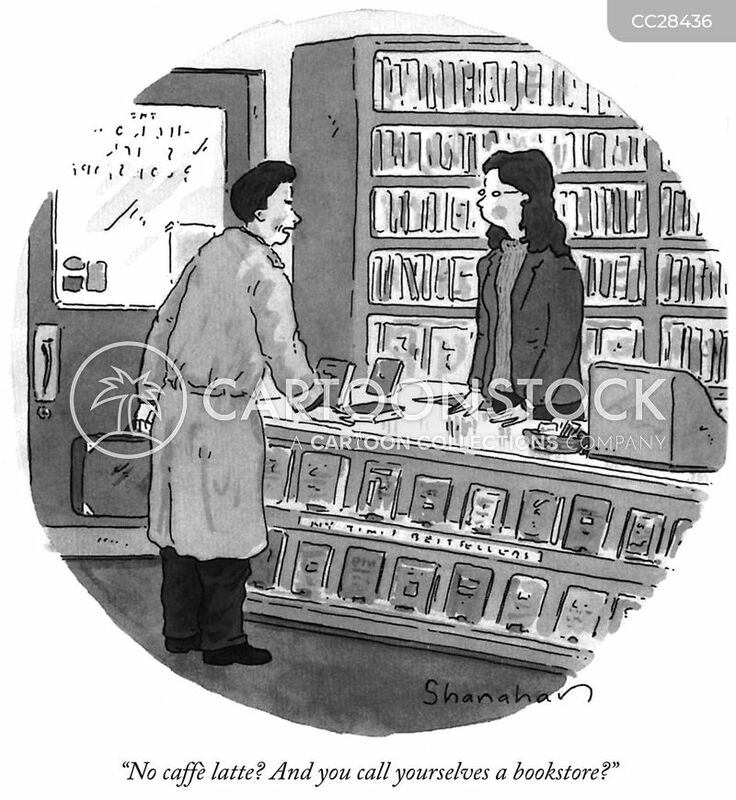 Not to be a motion picture. 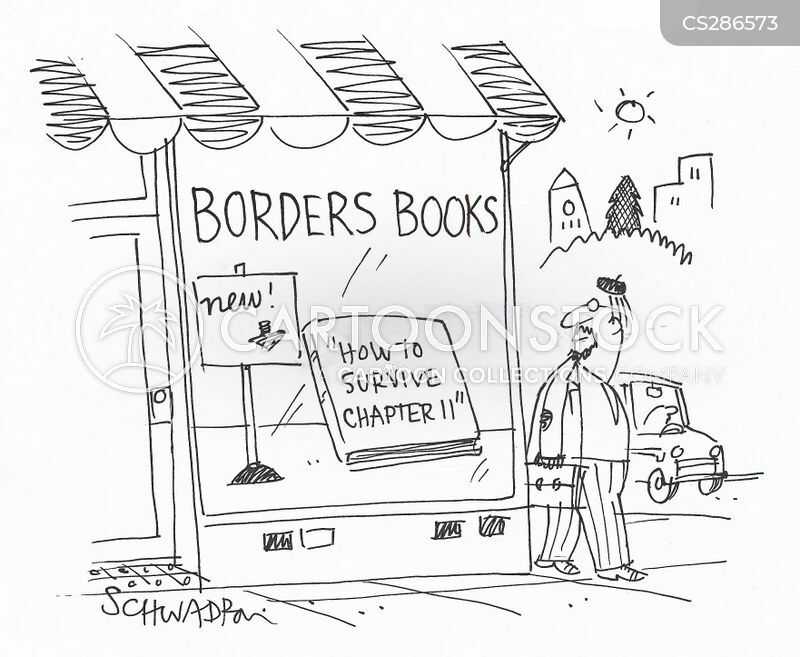 Will remain just a book. 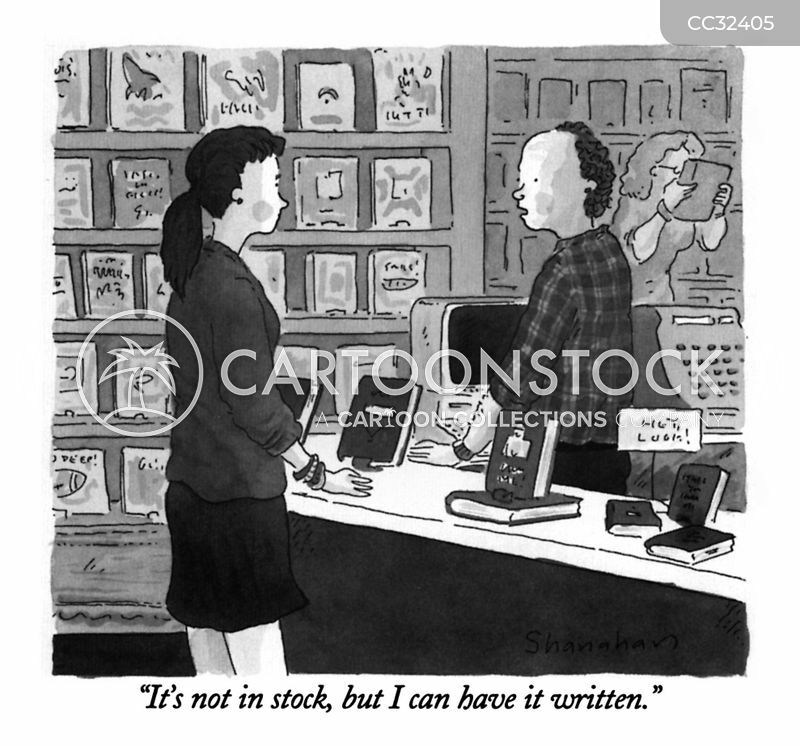 "It's not in stock, but I can have it written." 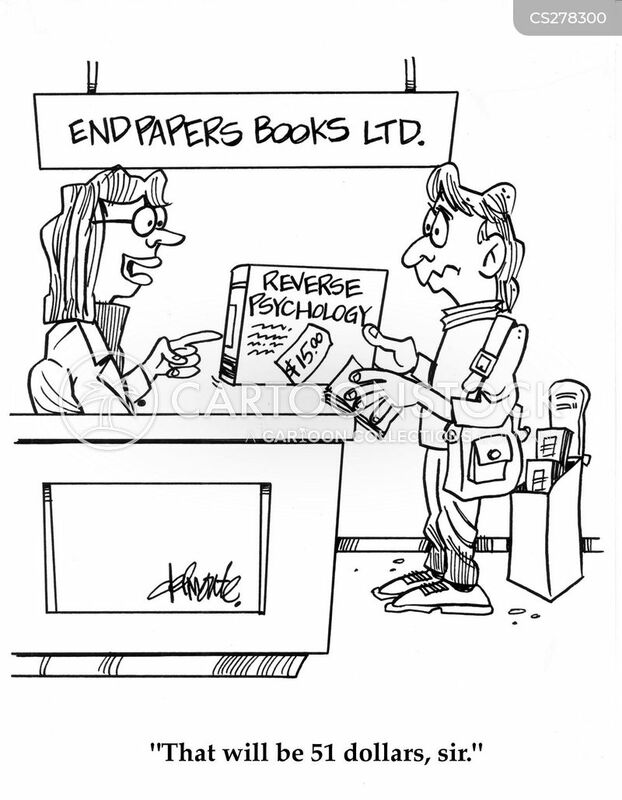 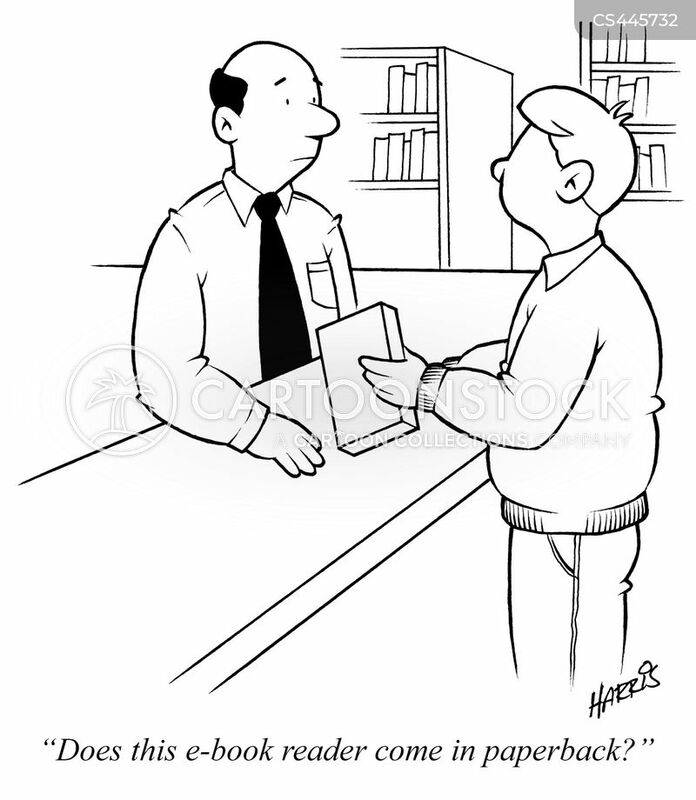 "Does this e-book reader come in paperback?" 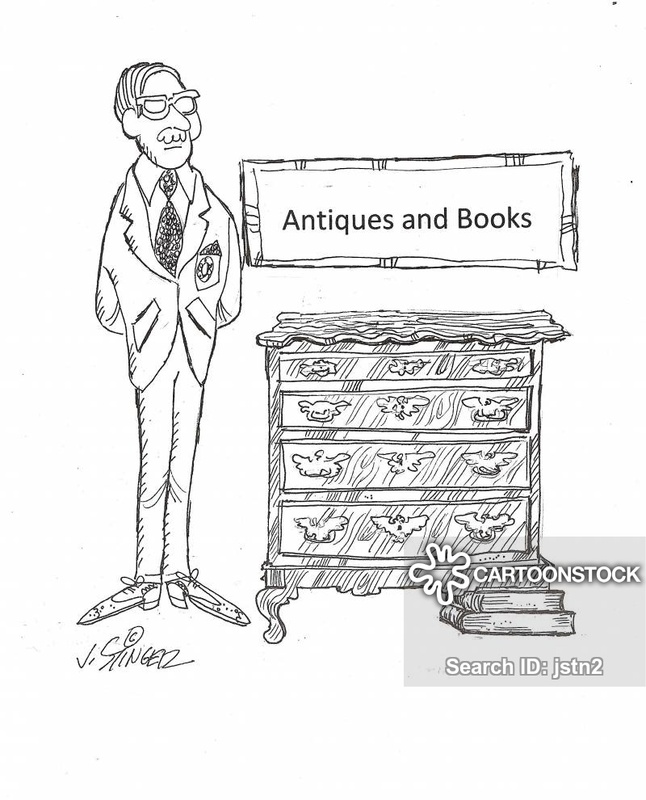 Antique books being used to hold up an antique chest of draws. 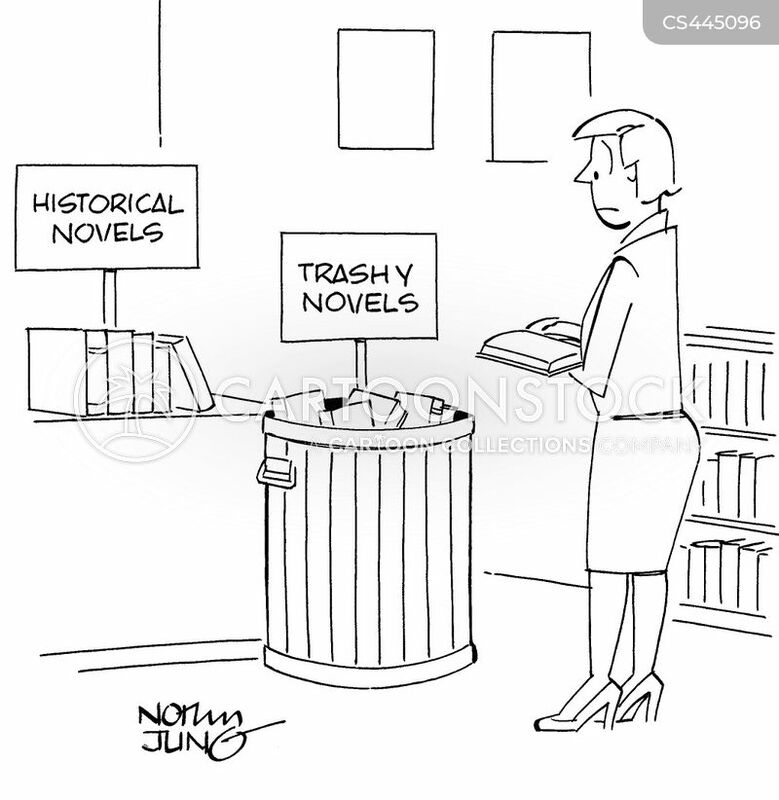 Patron at book store sees trashy novels displayed in a garbage can. 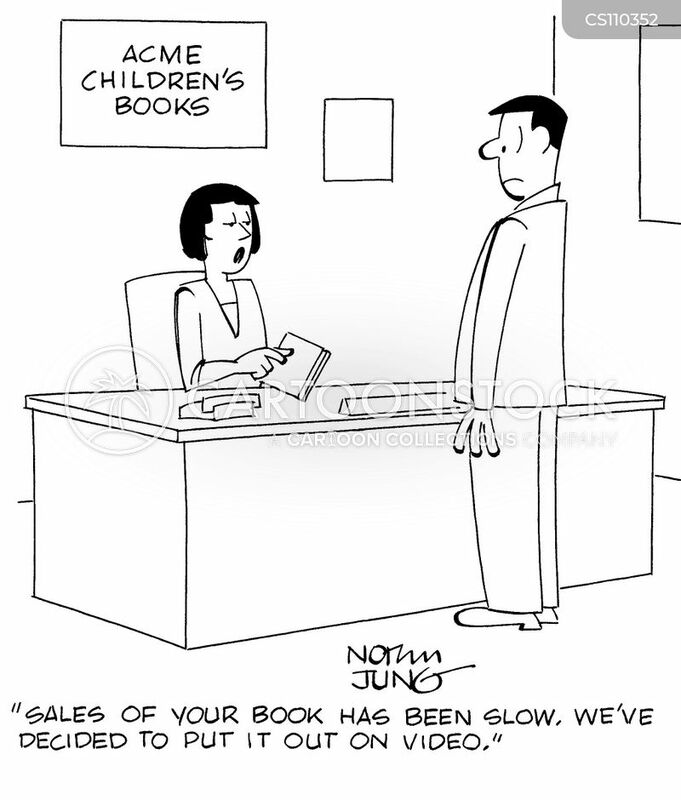 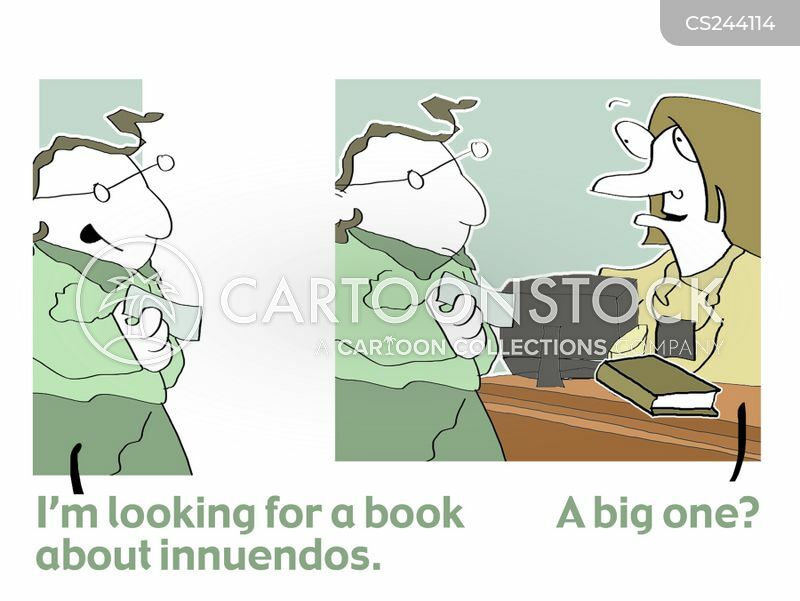 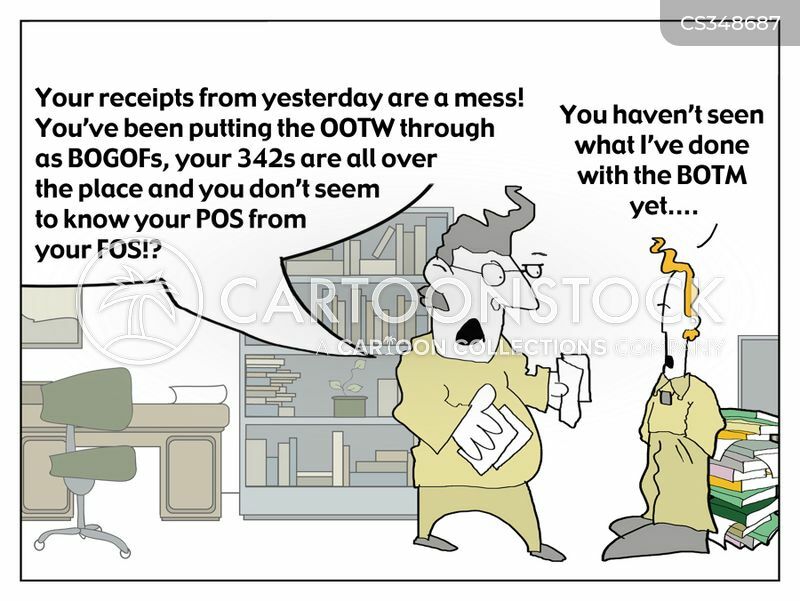 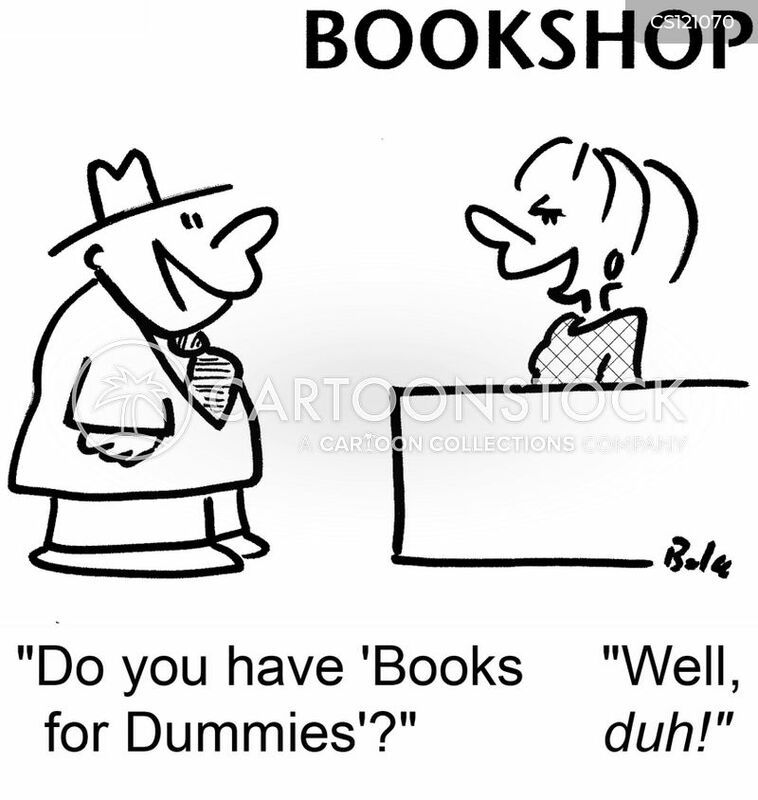 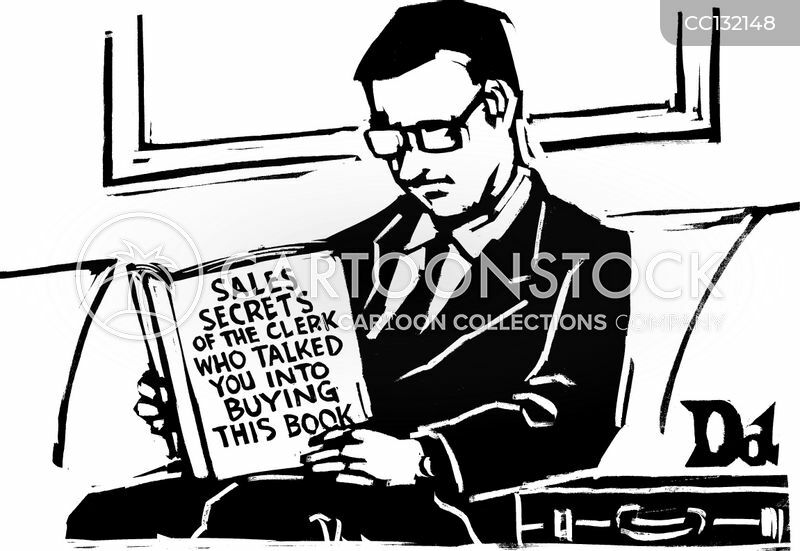 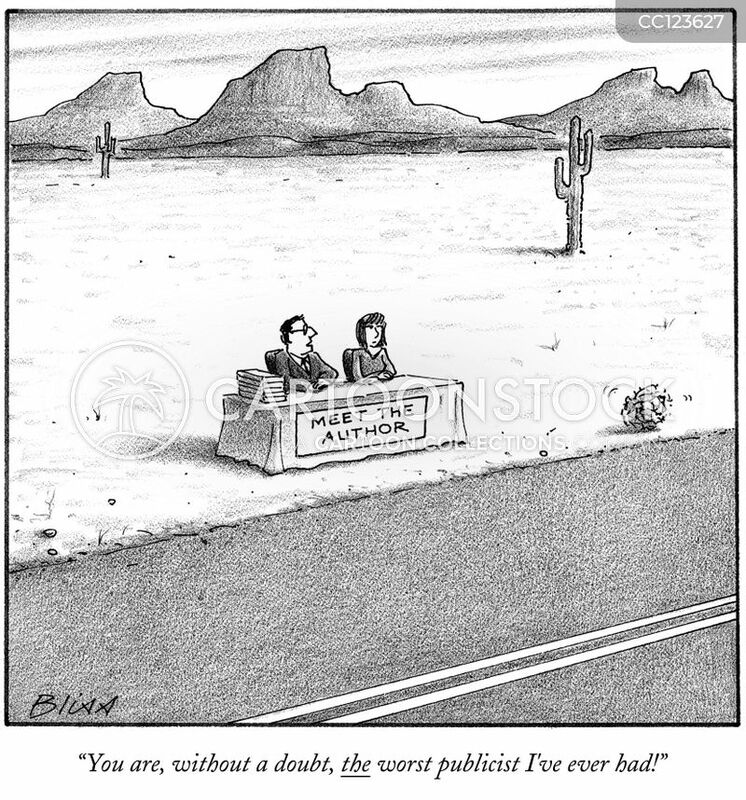 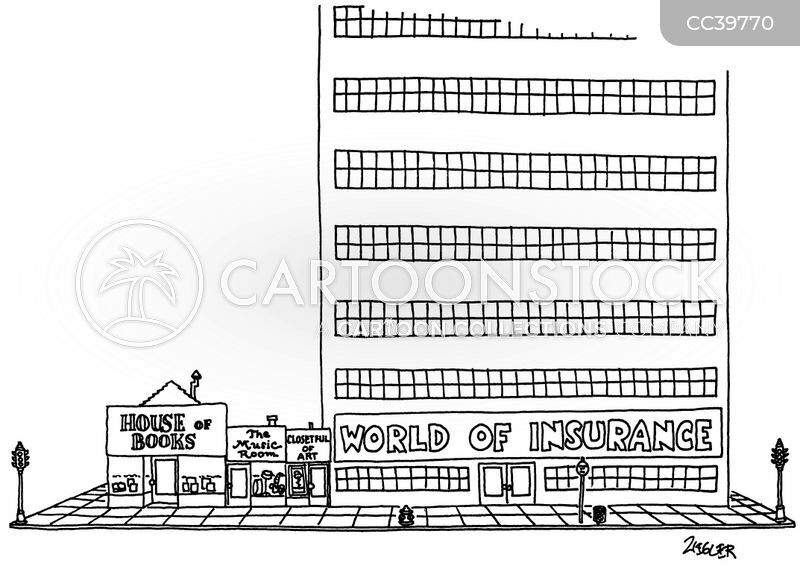 "Sales of your book has been slow. 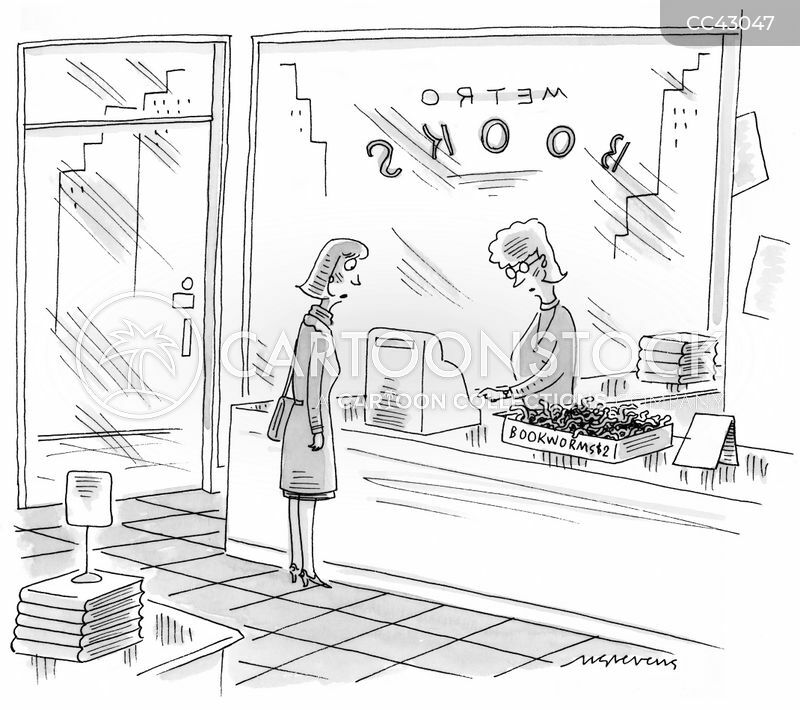 We've decided to put it out on video." 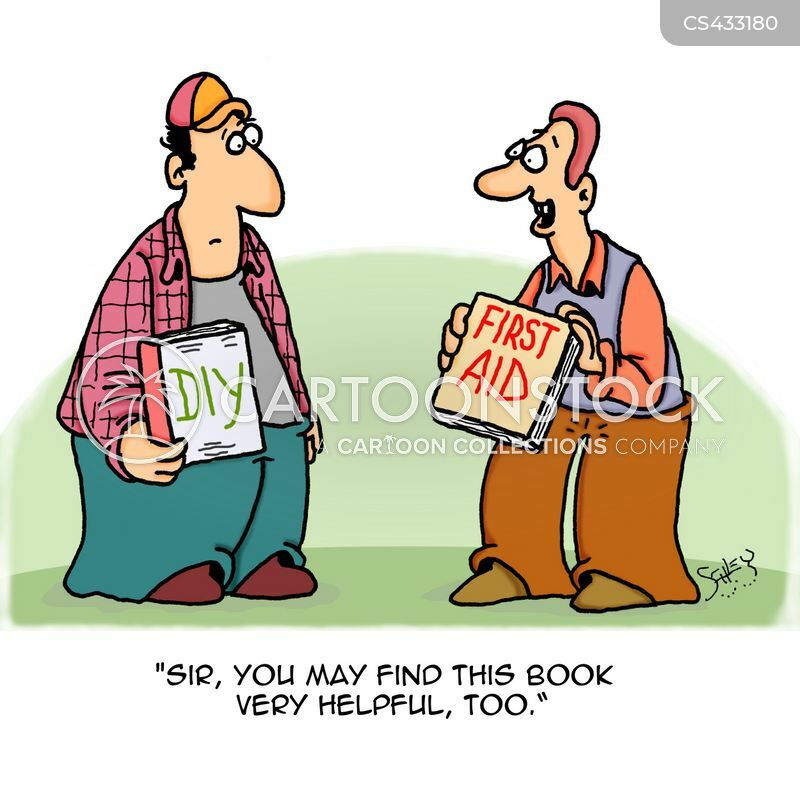 "Sir, you may find this book very helpful, too." 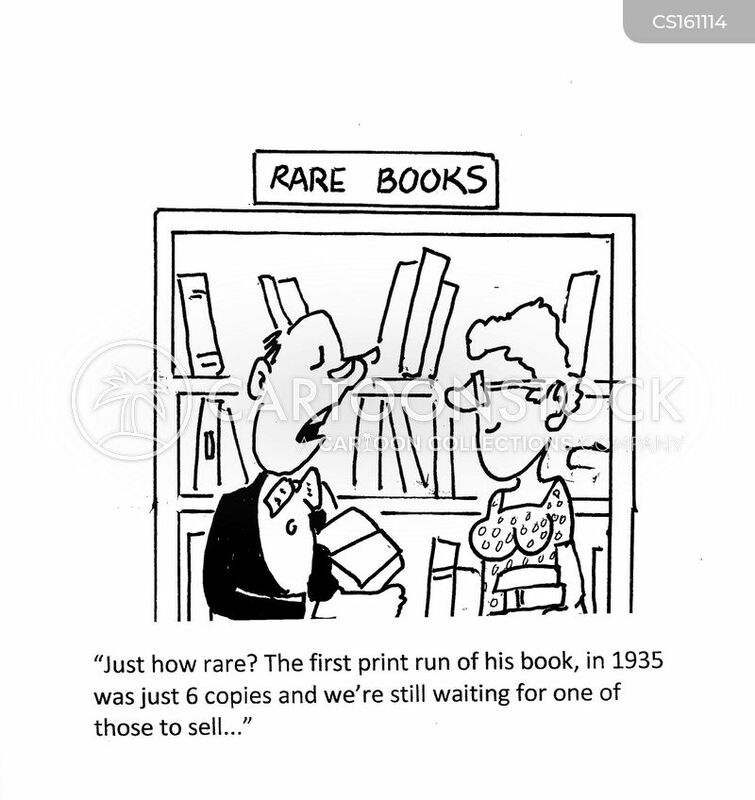 "Just how rare? 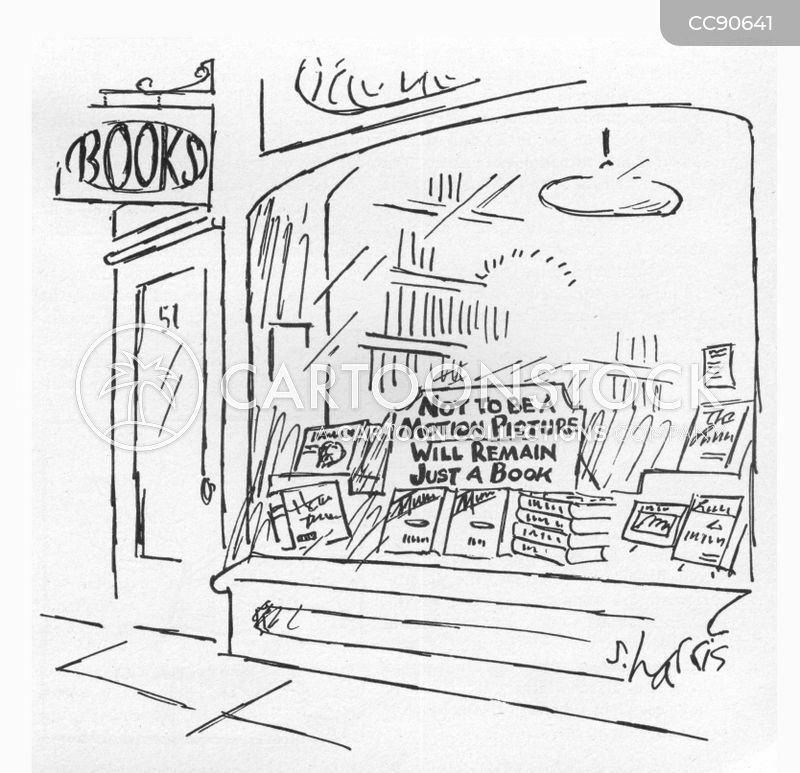 The first print run of this book, in 1935 was just 6 copies and we're still waiting for one of those to sell...."